Monday comes around fast, doesn’t it. We are back with the parenting pin it party again. We are hosted by the very nice The Fairy and the Frog today. Pop over to her blog and see what there is in store for you this week. She’ll give you a little summary of the rules there too. 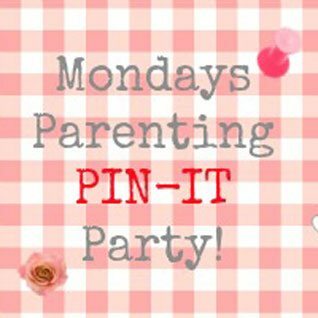 But in brief, you need to choose a parent related post, submit it to our linky, then pin it and share a bit of pinterest karma with some of the other posts included there too. Don’t forget to pay a visit to the blogs as well so they know you are sharing the love. Leave them a Christmas cracker in celebration too! If you can, do try and add the badge to your post as well so people know about the linky. If you want to know when we are live with the linky; do sign up.